Erin Stagg received her Juris Doctor from U.C. Berkeley School of Law in 2007 where she co-chaired the 2007 California Water Law Symposium, received the Prosser Prize in Property, and was a member of the Boalt Hall Women’s Association Leadership Forum Steering Committee. Prior to attending law school, Erin graduated with distinction from U.C. Berkeley in 2003, with a B.A. in Political Science. After law school, Erin joined the San Francisco office of Manatt, Phelps & Phillips as a litigation associate specializing in complex commercial litigation and representing policy-holders in insurance recovery disputes. Erin’s litigation experience includes drafting initial pleadings, coordinating fact and expert witness discovery, preparing dispositive motions, participating in mediations and settlement conferences and preparing for trial and arbitration. At Manatt, Erin was a member of a trial team for a three-month jury trial involving claims of fraud, breach of contract and intentional interference with contractual relations. Erin then joined Stubbs & Leone, a local Bay Area firm specializing in public entity representation. At Stubbs & Leone, Erin handled a wide range of litigation matters for public entity clients including land use and real estate disputes, commercial contract disputes, construction defect cases, employment matters, insurance recovery disputes and education law matters. After leaving Stubbs & Leone, Erin practiced as a litigation and insurance recovery freelance attorney and volunteered as a pro bono public benefits attorney at Bay Area Legal Aid. 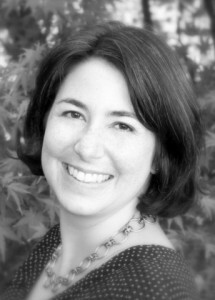 Erin affiliated with Montage Legal Group in 2012.